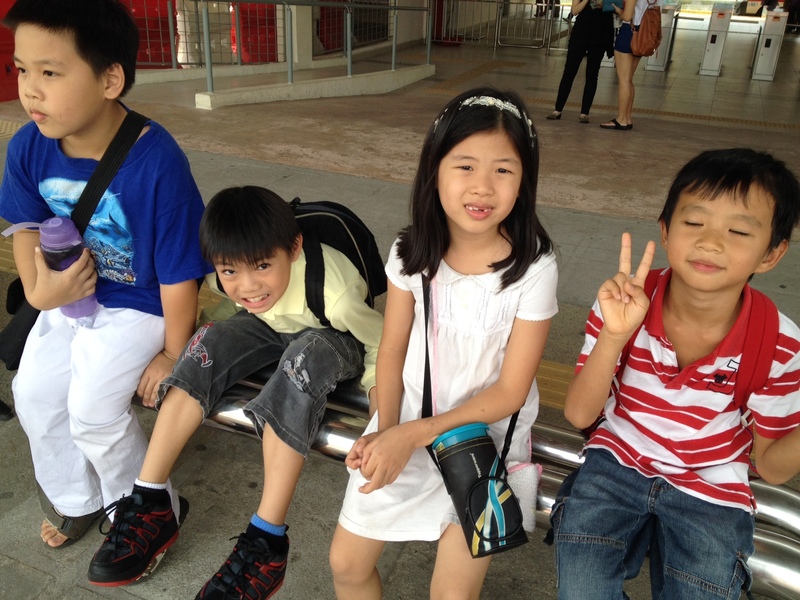 Last week, on two consecutive days, I took some kids on a train ride from Subang to KL and back. The first was with 4 kids aged 6-9 and we were going to the Dewan Kraft in Jalan Raja Chulan. 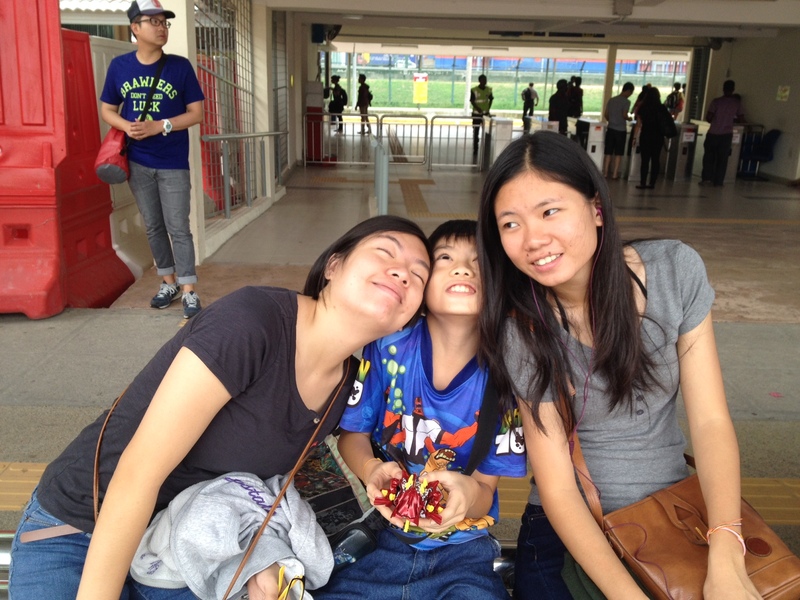 Took the KTM Komuter from Subang Jaya – taught the kids how to purchase their own tickets using their own money – while buying the tickets, the train arrived at the station. We could only watch as it left without us. So we waited for the next train which came after 20 mins. The kids didn’t mind the wait as they were such eager beavers going on a trip of a lifetime! Something we adults need to learn from kids – How to remain happy and positive while waiting for the slow train to arrive! When it finally came, they all went in excitedly. The boys didn’t stop talking throughout the ride. Ro was feeling a little left out so she came to sit next to me. Without her girlfriends whom she usually plays boisterously with, she is a quiet and soft-spoken girl. Hard to believe but true! From KL Sentral I decided to take the taxi there instead of taking another train as we were running late. Queued to buy a taxi ticket and got onto the waiting can just outside the building. 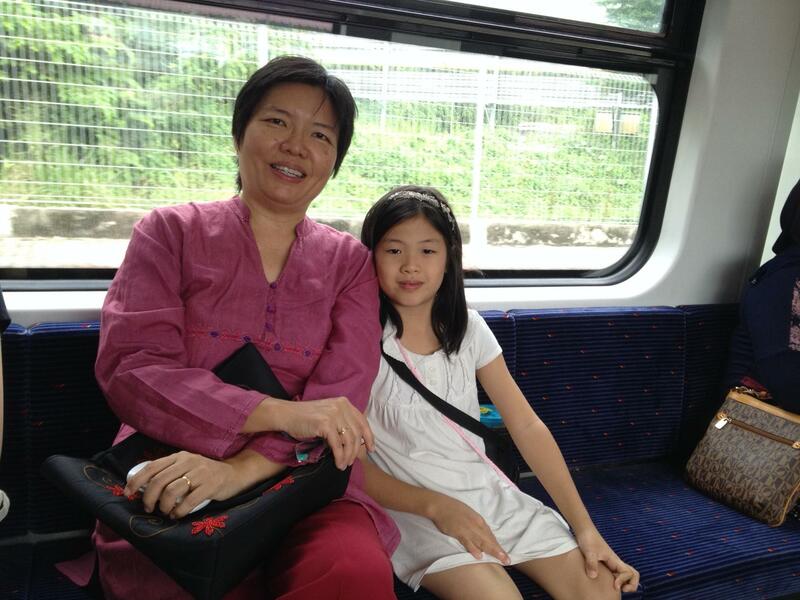 It was a rm13 ride – expensive but necessary on this occasion. We reached our destination right at the end of the first group performance. The kids bought their own tickets and found their group of friends already comfortably seated at the front of the stage. I wish I could have taken a photo of Ro who fell fast asleep with a mouth wide open, but we were reminded of the no photo rule by the nice people there, so I decided to abide by them for a change. At half time, she woke up and the kids were hungry! We searched the entire complex for food, but not a morsel could be found. Not even the roti man who had parked his bread-loaded bicycle earlier when we arrived! So the kids entertained themselves to forget their hunger with the wooden swing nearby. They endured another 1 and a half hours of more gamelan music before it finally ended. 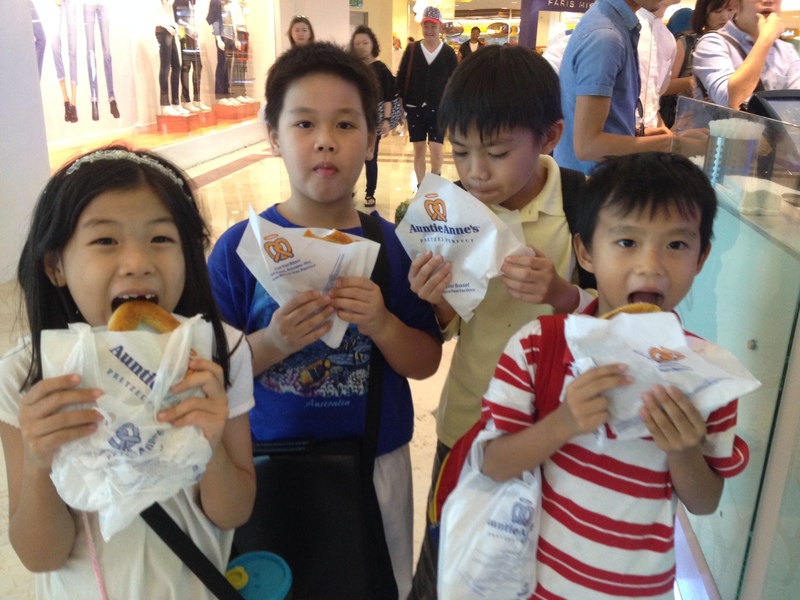 And the first thing we did was to get the much-needed food to appease their growling stomach. Guess what they got for themselves? And the next day I repeated the train ritual with my 3 kids! This time we were headed to KL Pavilion to hand over a CD to someone at the management office. We missed the train again while getting tickets at the counter. Grrrrr! Why was I the only one upset about it? My unschooled kids were so chill about missing the train while I was fuming mad! I couldn’t understand why my kids just stood there like mannequins at the shop windows as I shouted at them to “Go go go!” alike a deranged woman. I just realized one of the effects of unschooling – the kids do not run for anything. So yeah, we missed the train and my kids asked me to chill! After I calmed myself down – we are in no hurry anyway – I enjoyed the journey much better. Stopped at KL Sentral to get onto the faster train to KLCC. Got fresh juice there. Refreshing!!! Then we walked the bridge all the way to Pavilion. 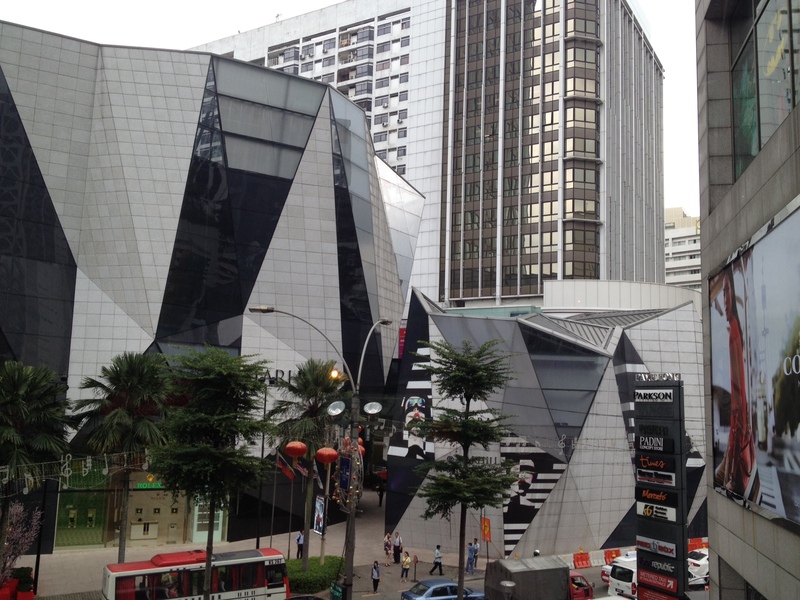 The bridge is located just outside Aquaria and once outside, voila! The bridge awaits you with grand eagerness! How we actually found out about the existence of this wonderful bridge was many months ago, we were stopped by some tourists asking where they might find the connecting bridge from KLCC to Pavilion and we shook our heads and gave them the kind if smile that says, “We’re so sorry to disappoint you but there is no such bridge here in KL. Try Japan or Hong Kong maybe :)” But the joke was on us when we actually stumbled upon the bridge ourselves months after that encounter! 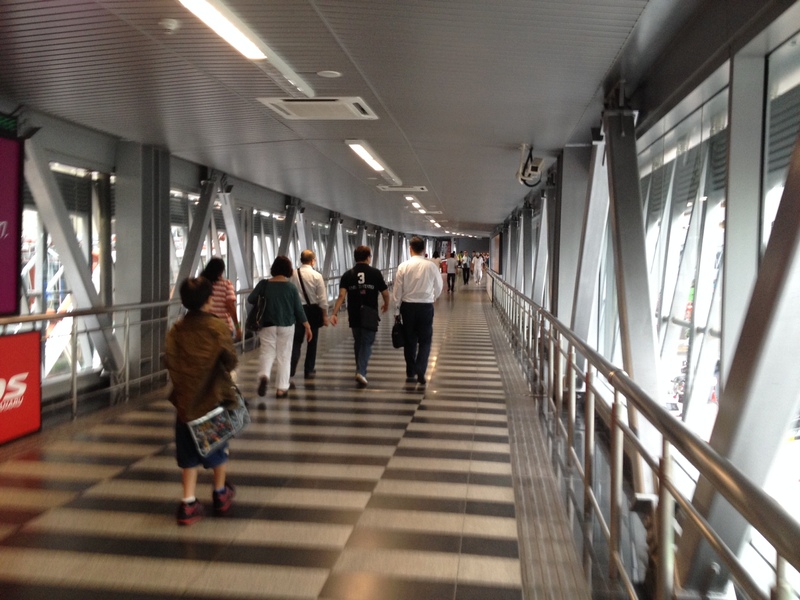 So yeah, we do have this clean, air-conditioned, and well-secured bridge (there is a security guard stationed at every bend), that we should all take advantage of. Not only do you get to exercise, you can also see KL on foot without the dust, heat and traffic! At Pavilion, Amrita completed her mission of handing her CD over to the person-in-charge, and we walked all the way back to KLCC to take the train again, this time, the opposite direction where we came from. But not before getting some lovely breads from Lavender Bakery – our favorite bread place whenever we are there! I’m also happy we managed to keep to our time of getting out by 4pm to avoid the mad rush hour where we would have been turned into canned sardines. Thank goodness that did not happen! So all in all, it was a pleasant trip to KL and back with the kids all intact! 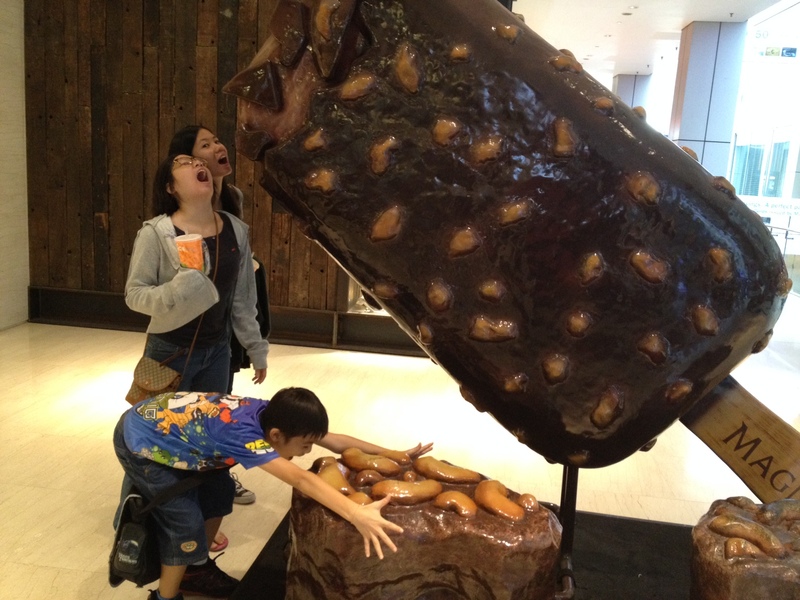 And oh, they also got to “eat” the biggest ice cream ever! 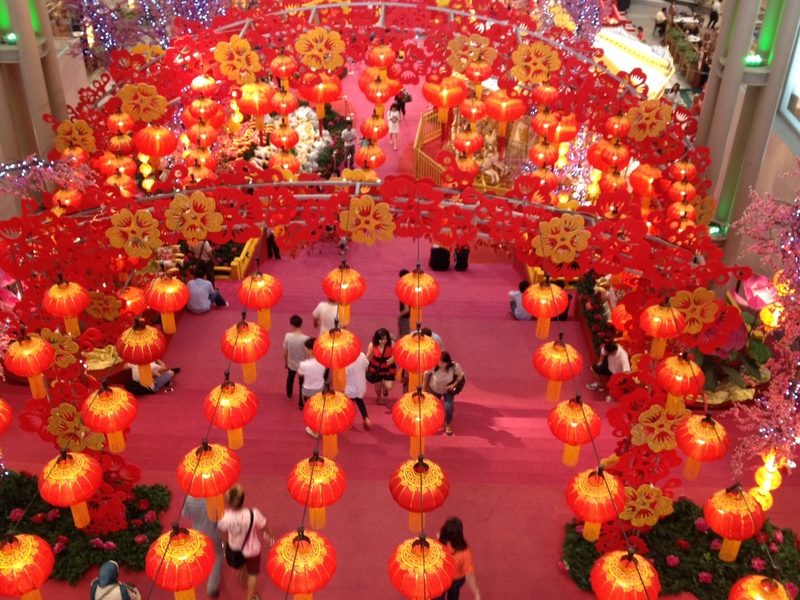 This entry was posted in Activities, Outings and Networking Activities, Programs and activities and tagged Activities, children, cooperative learning, creativity, unschooling. Bookmark the permalink.